The West African Development Bank (BOAD) is reinforcing its focus on low-carbon energy projects. It is therefore in the context of solar energy that the financial institution has placed the celebration of its 45th anniversary. The West African Development Bank (BOAD), a financial institution responsible for promoting the balanced development and economic integration of the member countries of the West African Economic and Monetary Union (UEMOA), has existed for 45 years. An anniversary celebrated from November 13 to 15, 2018 in Lomé, Togo, under an evocative theme, concerned with sustainable development within the community space: “Solar energy in the economies of the UEMOA countries: current situation, challenges and policies”. It is thus clear that the sub-regional bank puts the development of green energies at the center of its action. “Our current strategic plan bears the hallmark of a strong commitment to climate finance, with a particular focus on renewable energies. Good access to energy is a prerequisite for economic, social and cultural development,” said Christian Adovèlandé, President of BOAD, in his welcome speech. The choice of BOAD for renewable energies is appropriate in a subregion where economic growth will be around 6.5% in 2018, but is hampered by several characteristics related to the energy issue: the share of thermal energy, which constitutes two thirds of electricity production, increases the cost of electricity in UEMOA, one of the most expensive in the world; the low level of public resources devoted to financing electricity infrastructure; and the often precarious financial situation of public electricity operators. BOAD’s vision for the development of renewable energy is already bearing fruit. 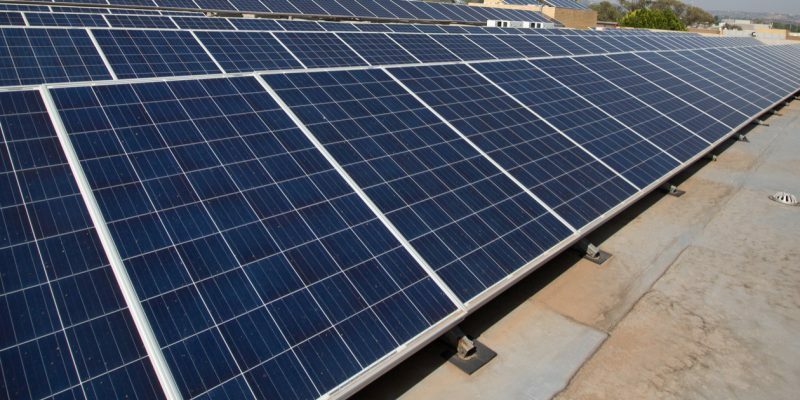 As the implementing agency of the Global Environment Facility (GEF), on the 12th of October 2018, the bank mobilised a grant of approximately 1.98 million euros, or 1.3 billion FCFA, for the promotion of renewable energy in Togo. Also in October 2018, the financial institution also committed to mobilise 152.5 million euros or 100 billion CFA francs each year for green projects. And for the year 2018, the funds already approved by BOAD for this purpose amount to nearly 76.22 million euros or 50 billion CFA francs.